It’s basically the essence of Easter. It’s not really Easter until you’ve sunk your teeth into a Cadbury Creme egg and savored the soft fondant center of the delightfully gooey treat. Now that the weather is finally warming up, a popular drink from Starbucks’ secret menu is trending again — and fans say it tastes just like a liquified version of the chocolate candy. 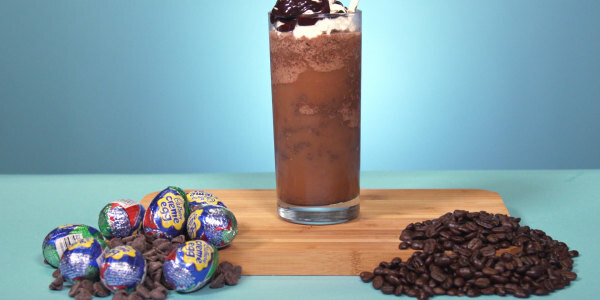 Starbucks’ Cadbury Creme Egg Frappuccino, created by barista “Manny O,” is a super sweet drink that has been around for a few years but always draws a little extra attention as the Easter holiday gets closer. All Starbucks stores offer the ingredients that go into this festive drink throughout the year — customers just need to know what syrups (and how much of each) to order the unlisted beverage. 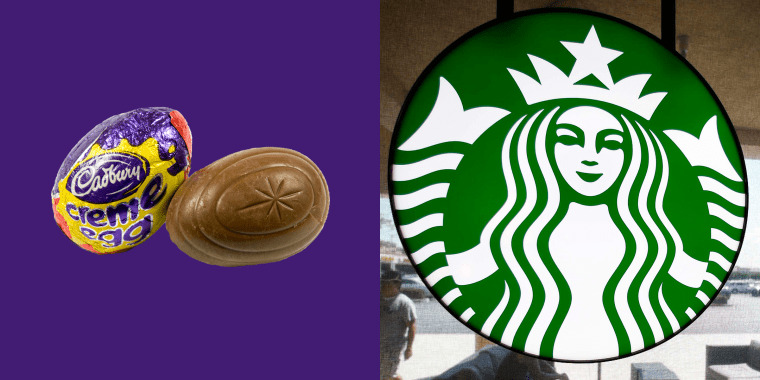 Although the frapp mimics the Cadbury egg's taste, the drink doesn’t actuually include any of the brand's chocolate. The drink is basically a dressed-up Java Chip Frappuccino: Customers start by ordering that drink and then make a few distinct alterations. In addition to the beverage's usual ingredients, to create the Cadbury-themed drink, ask for an extra shot of both vanilla and caramel syrups, and two generous scoops of vanilla bean powder, then ... voila! Sip and enjoy the sweetness. According to Twitter fans, the resulting drink is something to dream about, even if you don't celebrate Easter. Yes, I am an adult male who orders the Cadbury Egg frappuccino every time I go to Starbucks. Only God can judge. If you don't feel like revealing your secret sweet craving to a Starbucks barista, the drink is actually pretty easy to make at home. Start by blending a chocolate frappuccino base with ice, chocolate chips and chocolate sauce. If you don't have a pre-made base, use home-brewed black coffee. With or without whipped cream, the creamy drink definitely tastes like a bunch of Easter chocolates being sipped through a straw. Beyond sweet egg-inspired candy beverages, Starbucks serves several other spring drinks, and many of them are brightly colored. The coffee chain’s Strawberry Frappuccino and the secret menu's “Pink Drink” are still popular among customers as the weather heats up.